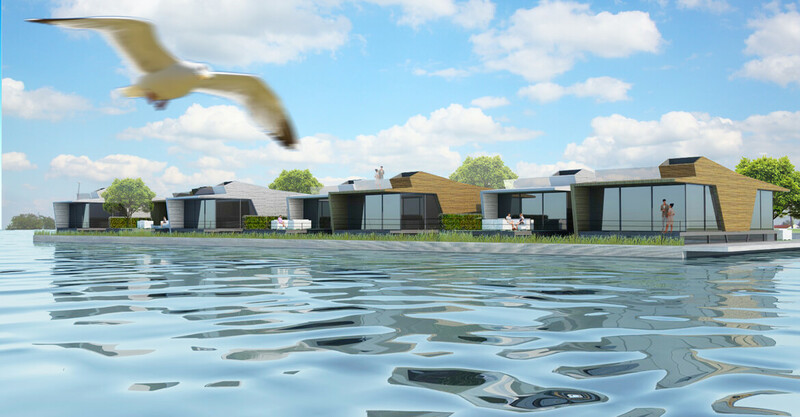 The floating homes are designed for a lake area in the Netherlands. 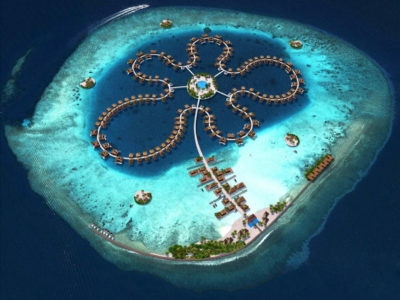 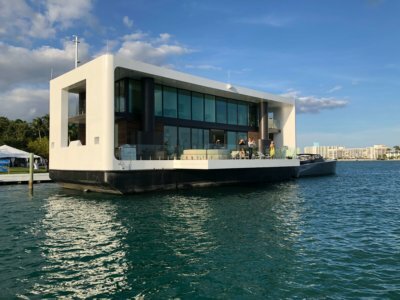 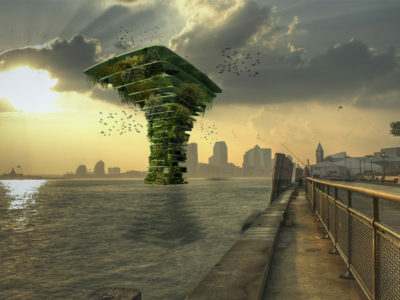 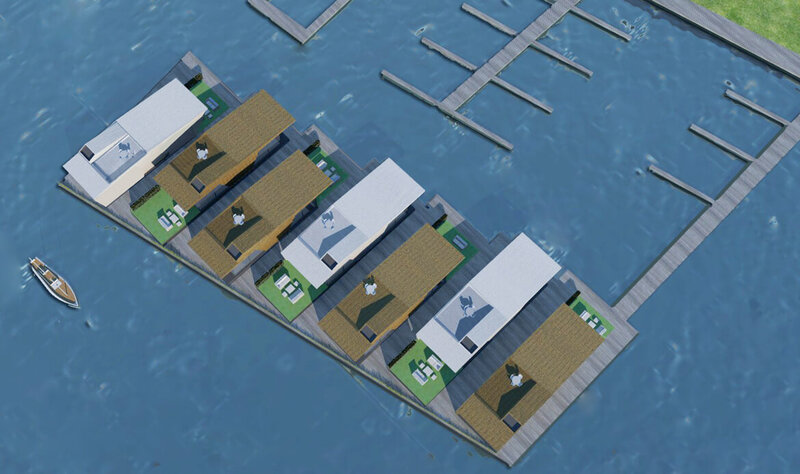 They are clustered with seven houses at one floating platform. 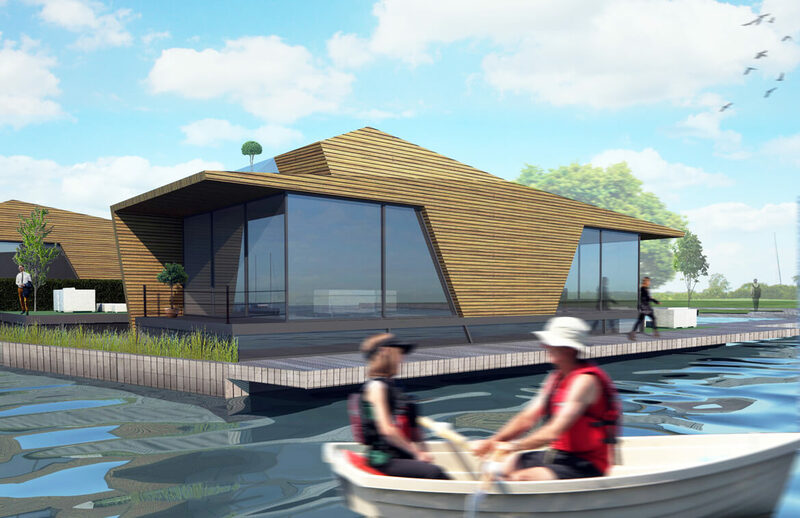 They are part of a small harbour which makes it possible to moor your own boat near the house and explore the rich water environment of the Loosdrechtse plassen.